I love the rain – for lots of reasons. The smells, the sounds, the softness to the air, the muted colors. Here is Utah we are in a desert, so any rain is welcome. This afternoon started the first of the warm spring rains. Just what we need to start everything greening up after our very cold winter. For proof of that I had to look no further than my garden beds on my way to the coop out back to feed the chickens and gather eggs. 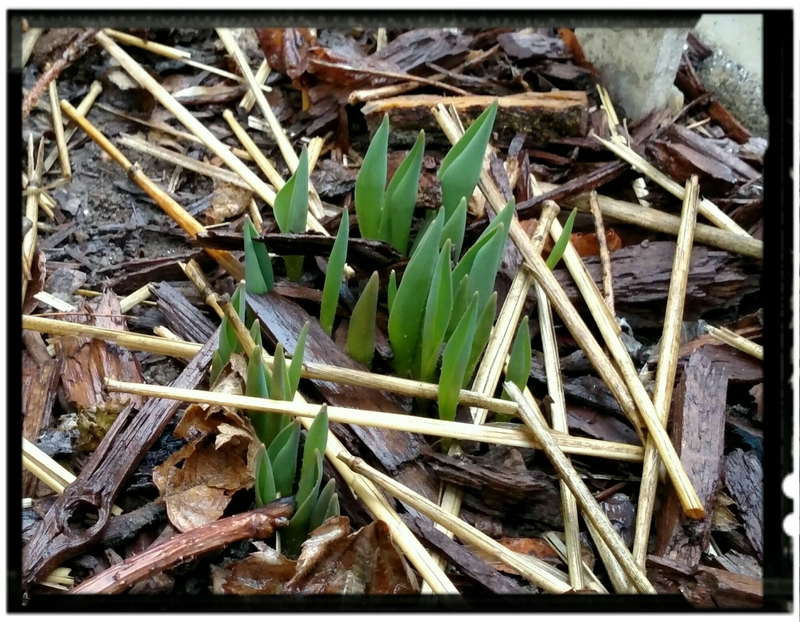 I noticed a sure sign of a pending spring -tulip and daffodil shoots are already starting to peek through! Most of these flowers were a surprise to me when I bought my house 4+ years ago. It was the dead of winter when we moved in and the house was vacant for over a year before that, so most anything once living had since died off. Except for the very proliferate weeds, of course! But of course most bulbs are very hearty. Since they absorb all the nutrition they need at the end of their bloom, while it is still spring and water is still (usually) abundant they can go dormant and not be bothered by a severe hot and dry summer. They were a welcome burst of color by first spring in my new house. Yarn: Knit Picks Wool of the Andes in Pampas Heather. Needles: Options Short Interchangeable Caspian Wood Set. But one of the biggest reason I love the rain? The invitation it brings to slow down and relax. A good rain seems to beg for a cup of warm beverage of coffee or herbal tea or a glass of wine, a comfortable place on the couch, perhaps a fire in the fireplace and a good book – OR a current knitting project! 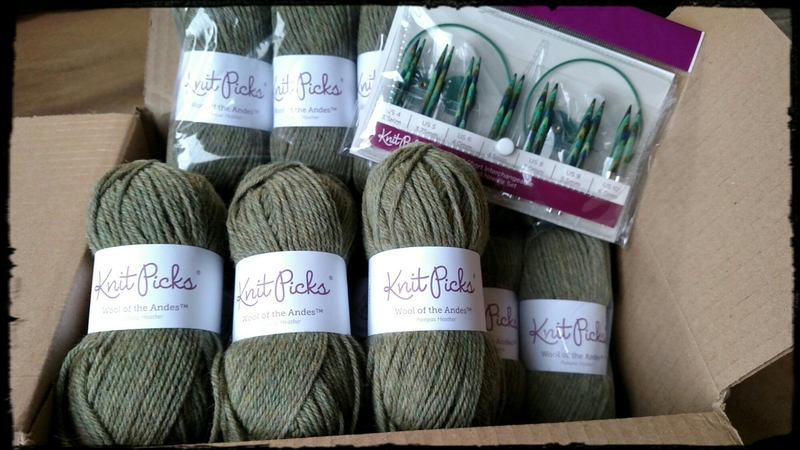 So I was especially excited for today’s rain when I tracked my yarn (and new interchangeable circular needle set) order from Knit Picks for my new cardigan and saw that it was out for delivery. Yay! So I’m saying goodbye for now. I have a couch with my name on it and new project calling me! And yes – a fire in the fireplace.